Microsoft includes tons of In-Built Apps in Windows 10 and one of them is Xbox. If you are looking to Permanently Remove Xbox From Windows 10 then this Article is for you as today I’m going to Share How to Remove Xbox From Windows 10? 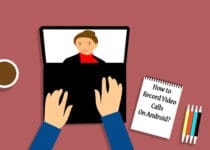 Removing In-Built Apps from Android Phones is not a difficult task as there are many methods for that but, when it comes to Remove Xbox App From Windows 10, it becomes a bit difficult. Though it’s not difficult to remove Inbuilt Apps from Windows, still, for some people it’s the toughest part. 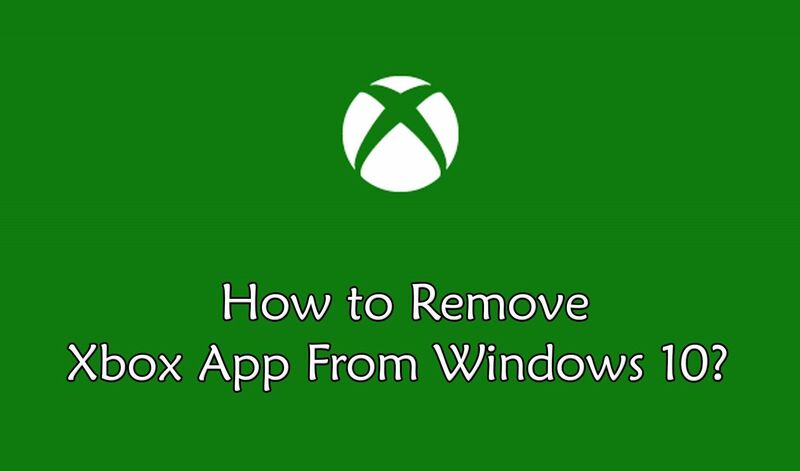 Not only Xbox, but you can remove many other Inbuilt Apps using this method. Xbox App in Windows 10 allows you to track your Xbox Social Activity, Achievements. Game Play, Recorded Games and Stream Games from Xbox One to PC. The Xbox Apps also lets you connect to the Xbox Live Community where you can chat with your friends, Share Gameplay, Share Screenshots, etc. 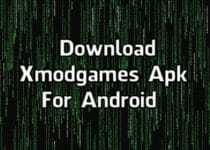 If you love Playing Xbox Games, then this App might be helpful for you but for others, it’s just a bloatware. So, if you want to get rid of this App and want to Uninstall it, here is the guide for you. Before we begin, if you don’t know about Xbox, here is a quick guide for you. 0.1 What Is Xbox App? 0.2 Why do you need to Uninstall Xbox App? 1 How to Remove Xbox From Windows 10? 1.1 Method 1: How to Remove Xbox From Windows 10 Using Windows Powershell? 1.1.1 How to Reinstall Xbox On Windows 10? 1.2 Method 2: How to Uninstall Default Apps On Windows 10 With Simple Uninstall? 1.3 Method 3: How to Turn Off Xbox On Windows 10? If you are using Windows 10, you can find tons of Pre-Installed Apps in it and Xbox App is one of them. It is basically an App where you can share Screenshots, Chat with your Friends, Remote Control Feature or you can also Manage your Account if you have an Xbox Live Account. Though the App is very useful for Xbox Users, it’s just a bloatware for many peoples. So, if you wanna get rid of this Xbox App, you can follow this Guide. Why do you need to Uninstall Xbox App? If you don’t have an Xbox Live Account, then it’s just an unnecessary App for you. Keeping it installed on your Windows PC don’t make any sense and will also consume your memory. Here are a few reasons to Why Uninstall Xbox App. These were few reasons to Remove Xbox App Windows 10. 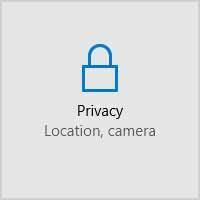 So, if you are looking to Remove Default Apps in Windows 10, here is the Guide for you. Let’s proceed further and check out 3 Working Methods On How to Remove Xbox From Windows 10? How to Remove Xbox From Windows 10? When it comes to Removing Xbox From Windows 10, there are many different ways for that but here I’m going to share 3 Working Methods to Remove Pre-Installed Apps On Windows. Also, there are many Pre-Installed App Removing Softwares available in the market that you can use. So, let’s move further and check the step by step guide on How to Delete Xbox App Windows 10? Method 1: How to Remove Xbox From Windows 10 Using Windows Powershell? In this method, you’ll need to remove Xbox from Windows 10 using Windows Powershell. You’ll need to type few commands for that which you can find in below guide. First, Click On Start Menu or Press Windows Key. 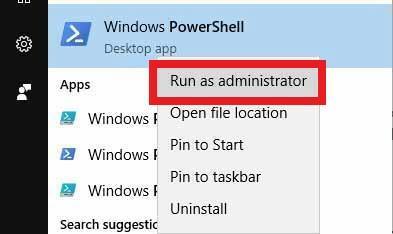 Now, Right Click On Windows Powershell and select Run as administrator. 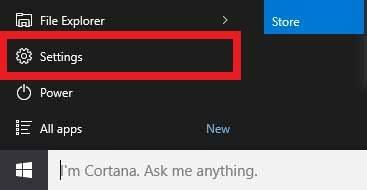 Now, Type the following command to Remove the Xbox App On Windows 10. Finally, Press Enter & wait for the process to finish. Done! This was the Guide On How to Remove Windows 10 Bloatware using Powershell. With this simple method, you can easily remove the default Xbox App from Windows 10. You just have to enter this code and Xbox will be removed automatically. In future, if you decide to Reinstall Xbox App On Windows, then here is the Guide on How to Reinstall Xbox App On Windows 10. How to Reinstall Xbox On Windows 10? Reinstall the App again is very simple. You just have to enter a single line code and you will get your Deleted Apps back on Windows 10. Here is step by step guide. Click On Start & Search for Windows Powershell. Right Click On Windows Powershell & Run as administrator. Now, Enter the following code. Done! With this Command, you can Recover Deleted Apps On Windows 10 Laptop. Simply, enter this one line command and press enter. Method 2: How to Uninstall Default Apps On Windows 10 With Simple Uninstall? This method is very simple. You just have to Uninstall the App like you uninstall it on your Smartphone. This method will not work on every Windows 10 PC. If you have an older version of Windows 10, then you can Uninstall Pre-Installed Apps using this method else you cannot. Now, Right Click On the Xbox App and then Click On Uninstall. Finally, Click On Yes and Xbox App will be uninstalled from your Device. This method won’t work on all Windows 10 PC. It will only work on the older version of Microsoft Windows 10. If it didn’t work for you, you can either try 1st method or try the 3rd method. Method 3: How to Turn Off Xbox On Windows 10? This method is basically turning off the Xbox App. 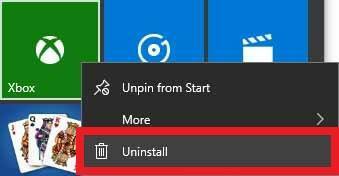 To Uninstall the Inbuilt Apps on Windows 10, you can try the above methods. 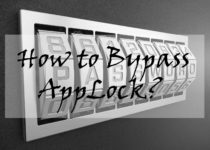 If you want to uninstall the App just because it’s consuming memory and data, then you can simply turn off it by below method. Now, Click On Background Apps and then Turn Off Xbox App. Done! With this simple steps, you can easily Turn Off the Xbox App. Though you cannot uninstall the Xbox App with this method, still, you can Stop it running in Background and Consuming Data and Memory. This was the 3 Working Methods On How to Delete Xbox App From Windows 10. Apart from this, you can also Remove Xbox Game Speech Windows From Windows 10 and many other inbuilt Apps like Calendar, Maps, Clock, Weather, etc. Also, there are few other methods as well that you can use to Remove Inbuilt Software or Apps. Hope you liked this Article On Remove Xbox From Windows 10. Do Comment below if you have any query. Stay tuned with us for more latest Tricks & Updates.